Who else is excited for this event?? Come join the fun on a Safari Vacation just in time for the holidays. Shop the bazaar [sYs], Yasum Designs, Tres Beau, CereberusXing, LivGlam, Pomposity, Faun, Wonton, & ME Jewelry for the perfect accessories and jewelry! Hop from merchant to exotic merchant playing the game of the land, Gacha, for a chance to win some tribal influenced prizes. Enjoy the parties and mix and mingle with the chiefs of the great tribes of SL Live Radio, Penumbra, AIM, Cultured the Magazine, and Siren Productions. 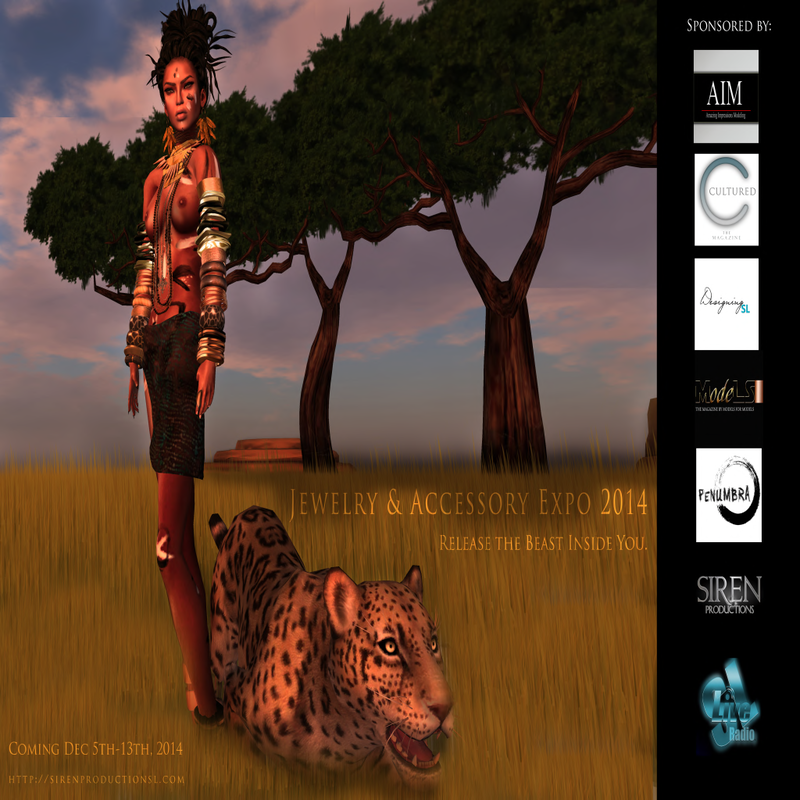 To stay up to date with all your travel plans for your Safari stay at Jewelry & Accessory Expo 2014 please see our handy travel agents at http://sirenproductionsl.com to book your vacation package. Do not forget to leave room in your luggage to carry all your trinkets home. In fact just bring empty suitcases! For some sneak peeks have a look at the flickr page also! *For correct operation of the mesh heads need to add all the objects from a folder, the shape and the skin. 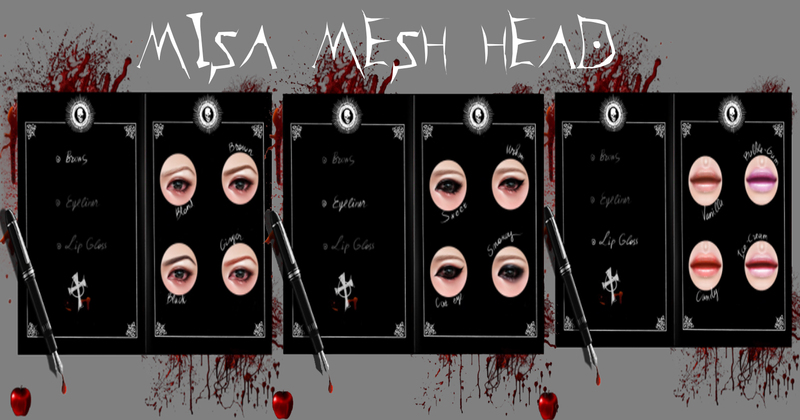 The Misa mesh head is on sale now @ the cosmetic fair! Im super excited about the November round of The Fantasy Collective. 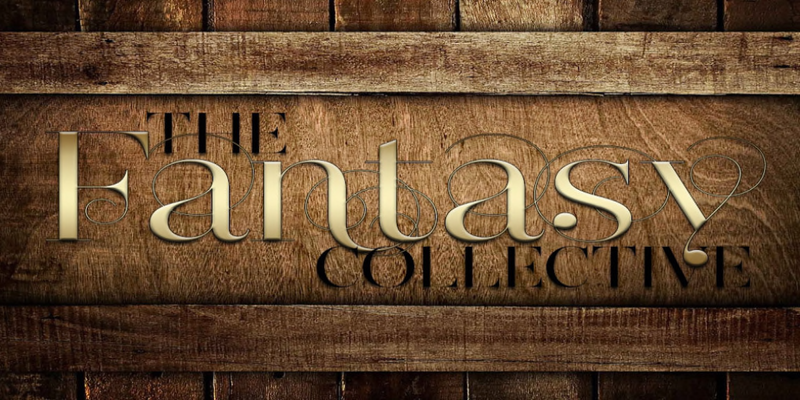 Starting 20th Nov The Fantasy Collective also will be a monthly event! So i have taken a turn from fantasy looks after halloween and stumbled across some very cute looks with the help of Cynful! PLEASE NOTE! – all the clothes i am wearing are on TOP of the Belleza Venus! ((HOW COOL IS THAT?)) thats why my boobies look amazing! **Developer Kits are now available. If you are a creator and are interested in making compatible items for the Venus body we now have developer kits available in our store. Belleza had an overwhelming request for the kits, and felt the best way to distribute them would be to make them available in store for creators to easily pick up at their leisure. So October i think was a busy month for us all wouldnt you agree? The Beautiful skin i am wearing is the new skin Grace just released by Belleza!